This was going to end badly. I would play chess all day in my office with the door locked. My boss would knock on the door and I would put my headphones on and ignore him. People would complain that the software I wrote didn't work. My boss would say, "where were you yesterday" and I would say, "it was a Jewish holiday" even though there was none and he would say, "well...tell us next time if you leave." It was bad behavior. I was a slave trying to escape but I didn't know how. I wanted to start a business but I didn't know what. I wanted to create something but I would play games all day, burning up the fuel in my brain. It turns out she was the frumpish-looking woman who had been fired six months earlier from the job we were at. She had cried as she packed up her cubicle when she was fired. She was out of shape, she looked about 30 years older than she was, and now her life was going to go from better to worse. Until...she realized that she was out of the zoo. In the George Lucas movie, THX-1138 (the name of the main character was "THX-1138″) everyone's choices are removed and they all live underground because above ground is "radioactive". Finally THX decides better to die above ground than suffer forever underground where he wasn't allowed to love. He wasn't free. 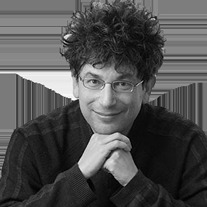 This article originally appeared on James Altucher's blog.